By Catriona Troth, the Library Cat. In the October issue of Words with Jam, I have written about a number of community groups either fighting for the survival of their libraries or now actively involved in running them. Here is another story to go with those: York Gardens Library in Wandsworth who, in one of the poorest wards in London, face an eye-watering target for fundraising to keep their library going. "In 2010 York Gardens Library and Community Centre was threatened with closure, as a result of local government cuts. Nearby residents and civic groups came together to campaign against the decision and support came from across the borough, including from many people who had never visited this library but recognised its value to the local community. As a result of a concerted campaign, a compromise was reached to allow the library to remain open with support from community stakeholders and volunteers. “The library and associated community centre remains open as a Direct Service Organisation (DSO) pilot project, with a reduced staff supported by volunteers. The local community will contribute to the management and day-to-day running of the library, thus reducing the cost burden on Wandsworth Borough Council. “Part of the role of the volunteer group is to raise a significant amount of funds (more than £70K per annum) to contribute to the operational costs of the building and services. Wandsworth still provides around £100K per year of funding, including (reduced) staffing costs. 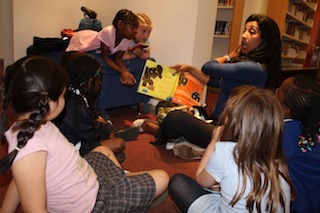 Volunteers support work in the library. They also develop and run community projects which run in the community rooms and promote the library and centre." £70k might sound like an extraordinary amount for any community to have to raise, but the scale of the challenge facing the Friends of York Gardens is made even more apparent if you consider that 60% of residents on the neighbouring estate are unemployed and more than 40% do not have English as their first language. Incidents of hidden homelessness and overcrowding are five times more likely in this ward than the national average. The area is associated with issues of crime and antisocial behaviour. Of course what this means is that the need for library services is greater than ever, and it is this awareness that is driving the Friends . Access to books and IT at home are both significantly lower than average and the library is especially important to children and minority groups. The £70k per annum fundraising challenge will be met in part by charitable fundraising and in part through letting of community rooms. The group has also has to manage its partnership with Wandsworth Borough Council. “The first twelve months were difficult while we found the best ways of working together,” Sherer says. “There were many operational aspects related to the library and the building where it was unclear, or where there was disagreement, on whether the council had decision making power or the volunteer/Friends group. Let’s hope Wandsworth and York Gardens don’t fall into this trap. 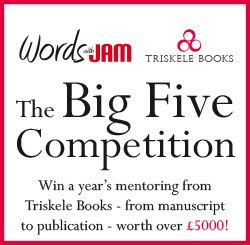 To read the main article in the October issue of Words with Jam, go to our website and subscribe FREE to the online edition. I like your post.Very impressive way of writing, appreciate the great information about London Garden Building. Thanks for sharing such valuable information. Its great that they are funding the Wandsworth library still as not every is tech savvy with computers. Thankfully they still have volunteers to keep it from going under. This library is local to our Garden Landscaping Company in London. Thanks providing useful information on my local borough. I will always think that modern tech can't replace the books. One of my favorite places is the library, no matter in which country, town it will be. I will support them and their groups. Be the spirit of the books! 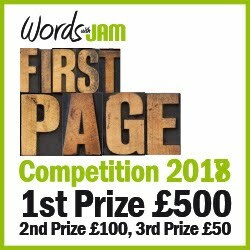 First Page Competition 2017 - THE WINNERS!